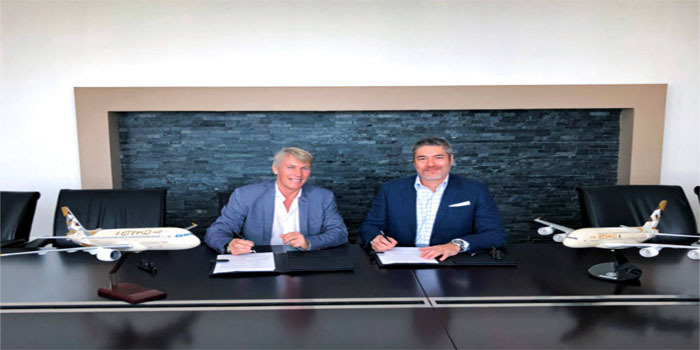 Etihad Airways Engineering on Monday announced that it has signed a memorandum of understanding (MoU) with TARMAC Aerosave, an industrial group specialising in aircraft maintenance, storage and recycling. Under the deal, both companies will identify and jointly pursue opportunities to develop, explore, support and extend Part 145 maintenance services and products to their customers across the world, the Middle East’s largest commercial aircraft maintenance, repair and overhaul (MRO) services provider said in a statement. Following signing the deal, the two entities completed their first Airbus A350 C-check in January for a leading Latin American airline at the TARMAC facility in Tarbes, France, as an Etihad Airways Engineering team flew from Abu Dhabi to carry out and support the heavy maintenance check. “We are happy to announce this collaboration which enhances our ability to support our customers and represents a key milestone on our journey to add the A350 to our extensive range of MRO capabilities,” Abdul Khaliq Saeed, CEO of Etihad Airways Engineering, commented.